Greece has “a realistic” debt deal proposal, PM Alexis Tsipras has said. 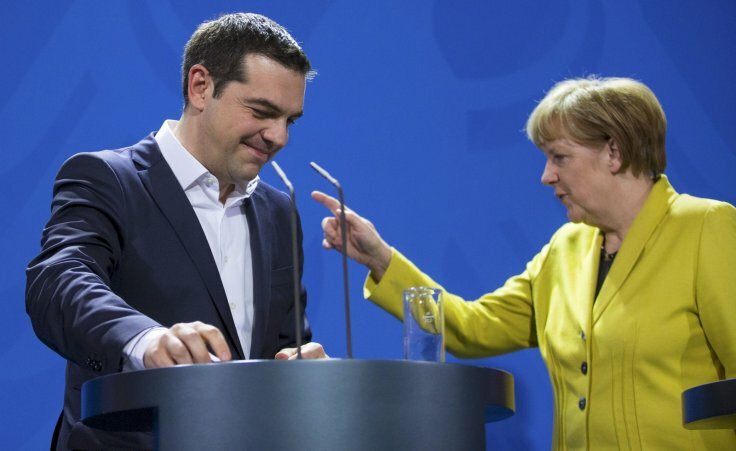 “We have submitted a realistic plan for Greece to exit the crisis,” he said. Alexis Tspiras said the plan included “concessions that will be difficult”. The prime minister’s statement follows talks in Berlin attended by the heads of both the International Monetary Fund (IMF) and the European Central Bank (ECB). IMF chief Christine Lagarde and ECB president Mario Draghi presence at the meeting between German Chancellor Angela Merkel and France’s Francois Hollande underlines the seriousness of the talks. Reports suggest the meeting was aimed at coming up with a “final proposal” to issue to Athens. Howevr, Alexis Tspiras, who was not included in the meeting, said he had not yet been contacted by the IMF and European officials. “We are not waiting for them to submit a proposal, Greece is submitting a plan – it is now clear that the decision on whether they want to adjust to realism… the decision rests with the political leadership of Europe,” he added. A €300 million ($330 million) payment from Greece to the IMF is due on June 5. Friday’s payment is the first of four totaling €1.5 billion that Greece is due to pay to the IMF in June, and it is understood that the payments could be all bundled together and repaid in a single transaction at the end of the month. Greece remains in a four-month long deadlock with international creditors over the release of €7.2 billion in remaining bailout funds. European lenders as well as the IMF are pushing for greater austerity reforms in return for the cash, which the Greek government has so far refused to make. Syriza parliamentary spokesman Nikos Filis reiterated that the government would not sign an agreement that was incompatible with its anti-austerity program.